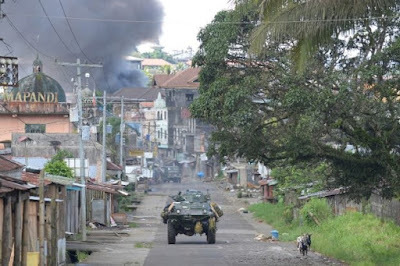 The battle of Marawi has already entered its 9th week. And it won’t be over until everything gets back to normal. In fact, it is the normalization and rehabilitation part of this conflict which is a bigger war to win since failure in this aspect, we believe, will only create more conflict in this highly stratified region of the country. We anticipate, though, that Marawi will ultimately fall back into the hands of our government forces. War ultimately ends even without a victor. What it leaves, definitely, are the enormous humanitarian costs that will be very difficult to measure. The Marawi war has already claimed at least 500 lives and created more than 200,000 bakwits. Thousands of livelihoods were also lost as the city was razed into the ground by aerial bombings and fierce ground battles. Furthermore, the declaration of martial law has endangered civilians’ free exercise of human rights in the entire island of Mindanao. The Supreme Court has already ruled on the legality of the declaration of Martial Law in Mindanao but the 60-day duration of Proclamation 216 is set to expire on July 22, 2017. Hence, the President, Congress and the entire nation now face a bothering question on whether the Martial Law in Mindanao should be extended or be expanded to cover the entire Philippines. The House leadership, when asked, is even willing to extend and expand Martial Law for the entire term of the President or until 2022. 5. It strengthens the hands of the totalitarians. We find no compelling reason to warrant its extension or expansion at this point in time. We believe that lawlessness in many forms can be addressed by a highly professional and effective military/police leadership. Ensuring professionalism and quality armed services is where Presidential powers are best exercised. Furthermore, extending this kind of war for a much longer time and carried out on a nationwide scale will become a very expensive experiment for a country whose development is highly dependent on loans and regressive taxes. It is therefore unacceptable to see the proposed expansion of VAT and imposition of excise taxes on oil, automobiles and sugar drinks funding not a social program but infrastructure for war. Lastly, it will be very unproductive for the President to spend his remaining years in office for this costly war. War is both destruction and political distraction. It neither creates nor equally redistributes social wealth that is now concentrated in the hands of oligarchs. The President, in other words, has a better war to wage and win against contractualization, low wages, and high prices of basic goods and services. If you want peace, Mr. President, build social justice and economic inclusion first.